To secure your reservation, a deposit of 40% of the charter fee per person is required within seven (7) days of booking. Final payment is required 60 days prior to departure. All payments may be made by Visa, Master Card or American Express or by money transfer. All reservations are subject to cancellation if payments are not received by the due date. 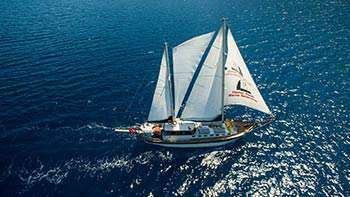 For full refund of charter fee, notice of cancellation must be in writing and received by Barbaros Yachting no later than 60 days prior to sailing. Refunds will normally be made to the booking party. 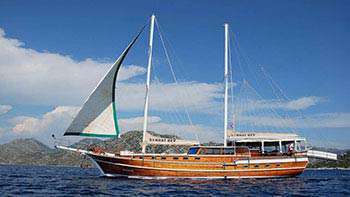 Barbaros Yachting can only be responsible for refunding amounts actually received. No refunds will be made to passengers who do not board the boat or passengers who cancel after the start of the cruise. 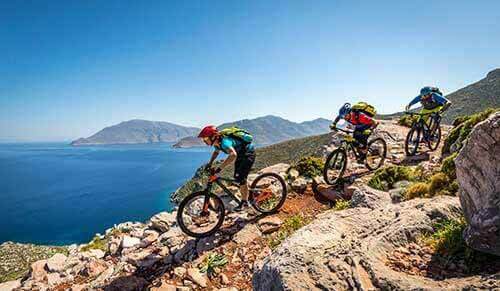 We recommend the purchase of travel insurance. 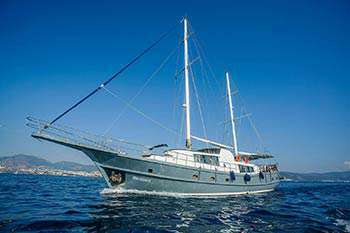 Barbaros Yachting may operate the cruise program with another boat as long as this boat is of the same or higher standard. Passengers offered a suitable alternative cruise program or boat are not entitled to any refund. 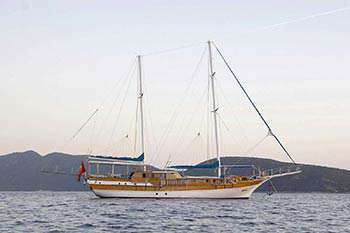 Barbaros Yachting may for any reason whatsoever cancel any cruise at any time for reasons of force majeure. 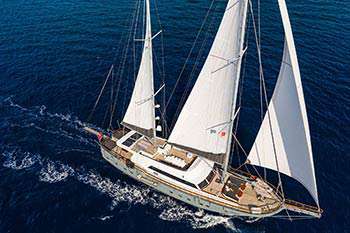 It is further recognized that Barbaros Yachting is a Turkish Company and it is agreed between Barbaros Yachting and contractual party that the interpretation of the terms and conditions will be resolved solely according to the Turkish Laws in Turkish Courts. 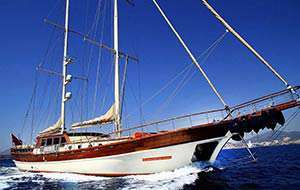 Barbaros Yachting is responsible for making all the arrangements for everything specified in the services and itineraries. Barbaros Yachting liability and responsibility does not extend beyond the boat; any arrangements made by or for passengers either before boarding or when disembarking are at the passenger’s own risk. 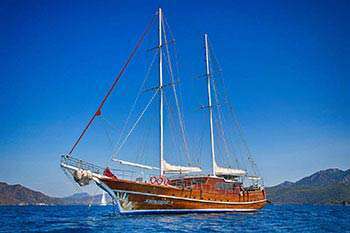 Barbaros Yachting does not own or control any ground transportation or hotels. 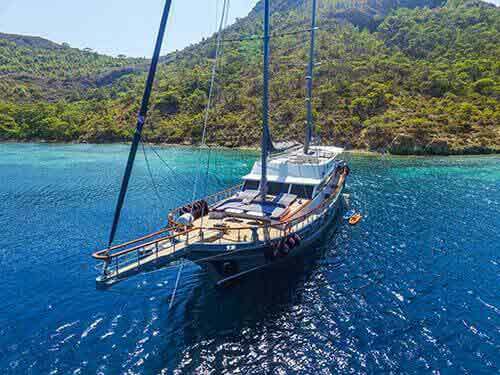 As a convenience to our passengers, Barbaros Yachting may sell tickets for land excursions or arrange other services which are operated by independent contractors, but shall not be responsible in any way whatsoever for any damage, loss, injury or death arising. 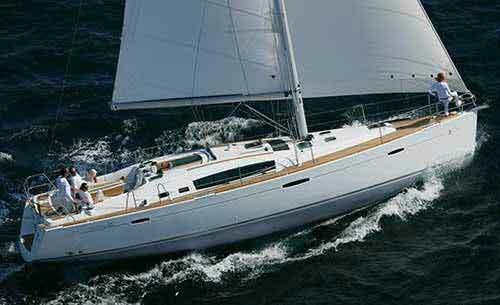 Nevertheless, all of the service provided in the boat bears Barbaros Yachting guarantee and responsibility for quality service, which we provide to all of our customers with. 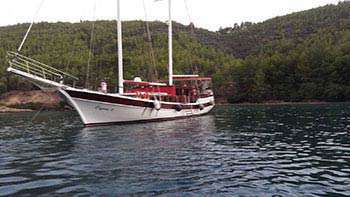 All travel documents issued by Barbaros Yachting, in written paraphernalia or to the customer, are subject to the terms and conditions specified by the laws of Turkey. 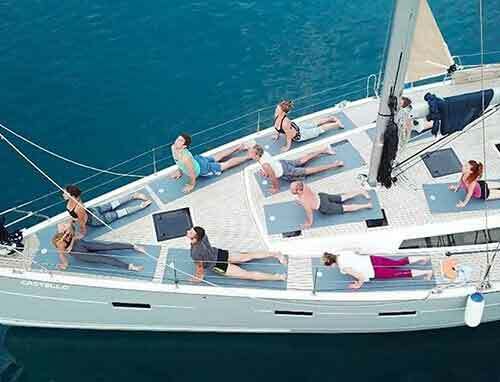 Barbaros Yachting preserves the right to cancel the whole tour without a refund, once the capacity of the passengers excess the booking and the capacity of the boat itself. 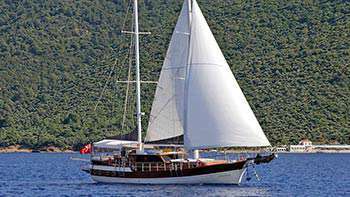 During the tour should any complaints arise on board please report them to your Captain right away so that he can contact the representative of yours whom you met at the briefing at embarkation from Barbaros Yachting. 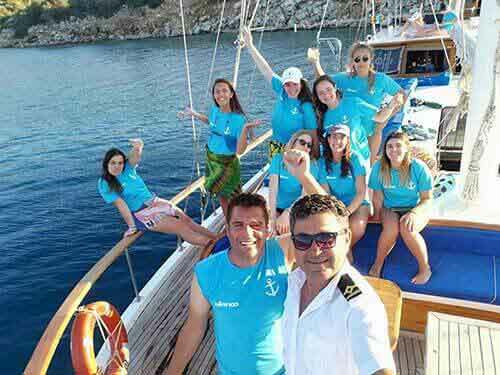 Any complaints must be made in writing directly to Barbaros Yachting Head Office Customer Services, which should be received by Barbaros Yachting within 21 days of completing the tour the complaint is regarding. Complaints that are received by the company 21 days after the end of cruise are not acknowledged. Please also ensure that your personal guest questionnaire is filled and submitted to our colleague. We welcome all your suggestions for improvements as well as your feedback on our cruise operation and on our crew. 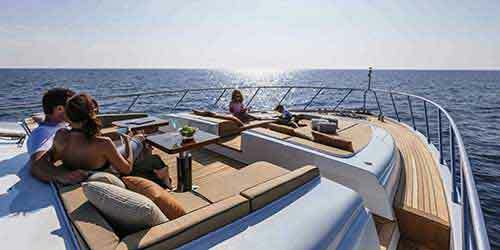 The passenger consents to Barbaros Yachting using images taken of the passenger during the tour for advertising and promotional purposes in any medium we choose. 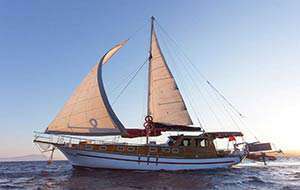 The passenger grants Barbaros Yachting a perpetual, royalty-free, worldwide irrevocable license to use such images for publicity and promotional purposes.